The PDF has been around over two decades and you probably encounter them everywhere. There’s loads of tools available to help you get the most from your PDFs, so we’ve rounded up some of the best that offer the features you’ll want to use all the time. Whether it’s being able to scan a file directly into a PDF, extract specific images from a document, or save anything in PDF format, we’ve got you covered with these utilities. And many of them are powerful and have a whole host of other functions. If you have your own favorite PDF tool, make sure you head into the comments section and share it with us. Software to assist with your scanner is a dime a dozen. Your scanner probably came with its own software. But a lot of them are convoluted or don’t work properly. Not Another PDF Scanner 2 (NAPS2) may have a self-deprecating name, but it’s actually an extremely useful tool that doesn’t cost anything. Once installed, NAPS2 is simple to use. Click Profiles and then New to add your scanner, ensuring to edit the settings like Page size and Resolution. If you like, you can add multiple profiles for the same scanner, if you desire quick access to different setting configurations. When ready to go, click Scan and your document will appear in the grid when complete. You can make simple adjustments to your scan through the Image button, which allows you to do things like Crop and adjust the Brightness. Of course, you can click Save PDF to do exactly that. You can also choose to Save Images across different formats, or Print if you want copies. One of the coolest features is the optical character recognition. Just click OCR, download the language pack you need, and your PDFs will then be searchable. PDF Multitool may not have the slickest interface around, but it’s certainly a powerful program. It’s able to scan a PDF and export all types of data from it. For example, you can convert the document into a CSV or XML file, or you can detect any tables and bring them into Excel. There’s also a bunch of handy utilities, like being able to split the document into multiple parts or merge it together with a bunch of other files. You can also enable and disable the ability to search the text of a document. However, the real stand out feature comes in how easy it is to extract images, videos, and audio from a PDF. For this, use the options under the Data Extraction header on the left-hand column; select either Embedded images or Embedded multimedia, depending on your need. You can extract from a specific page or across the entire document. You can even specify a certain part of a page that you want to extract from. For this, use the Select button in the top toolbar, click and drag around the area you want to export, then use the left-hand navigation to begin the extraction. It works so quickly and really well. We’ve covered Foxit Reader multiple times in the past, like in our round-up of the best Windows PDF readers The 6 Best PDF Readers for Windows in 2019 The 6 Best PDF Readers for Windows in 2019 The best PDF readers don't cost any money. Read our roundup of feature-rich PDF viewers that out perform even Adobe Reader. Read More or light programs to open PDF files 6 Light Alternatives to Open Office and PDF Files 6 Light Alternatives to Open Office and PDF Files Don't clog your system down with superfluous bulk. For the occasional viewing of PDF and Office files, you can use compact apps and you might not need any additional software at all. Read More , but it’s worth calling out again. It’s a PDF reader, but it offers so much more. You can scan straight to PDF, share and comment your files, have the PDF read aloud using text-to-speech, and much more. A recent update to Foxit Reader added integration with Google Drive and OneDrive. The program already had the ability to work with SharePoint, which is great for an enterprise setting, but the addition of these cloud providers means you can quickly and easily open and save your PDFs using your online storage. To add your accounts, navigate to File and then either Open or Save As. From here, click Add a place. On the right-hand side you will see your cloud provider options. Select the ones you want in turn and you’ll be asked to log in to verify Foxit Reader’s access. It’s quick, seamless and easy. Other new features include being able to sign documents using certificates, time stamping trusted servers, and word count either the entire document or specific sections. If you want a PDF viewer packed full of useful features, Foxit Reader has you covered. Optical character recognition (OCR) is a feature that will detect any text within your file. This means you can then search within the PDF or export it to a separate document, depending on a program’s features. Some of the tools we’ve mentioned already support this, but you might be looking for a lightweight option, which offers only OCR. 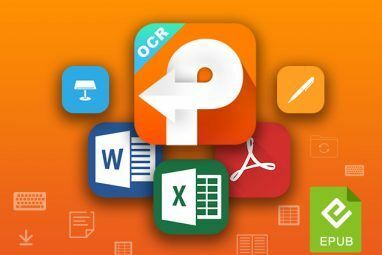 We’ve covered the best free OCR tools The 3 Best Free OCR Tools to Convert Your Files Back Into Editable Documents The 3 Best Free OCR Tools to Convert Your Files Back Into Editable Documents Optical Character Recognition (OCR) software turns printed documents into machine-readable text. Here we show you the best free OCR tools and how they work. Read More in the past. One of the easiest to use doesn’t even require a download, just a Google account. That’s because Google Drive has a built-in ability to convert your PDF into a text document. It will even retain formatting elements like bold, italics, font size and font type. However, it can’t handle lists, tables, or columns particularly well. To get started, log into your Google Drive account. Then click New > File Upload and navigate to the PDF on your computer. Once you’ve located it, select it and click Open. The file will then upload to your Drive. When uploaded, right-click the file and click Open with > Google Docs. A new window will open where the conversion process will begin. This might take a while depending on the size of your PDF. All you’ll see is an animated colored circle, but don’t worry, it is working. Once complete, a Google Doc will open with all your PDF’s text. Forget having to convert files into PDF. Wouldn’t it be great if you could save directly to the format from all Windows programs? If you’re using Windows 10, you’re already covered. You don’t even need a program for that because you can print to PDF directly within Windows 10 How to Print to PDF from Any Platform How to Print to PDF from Any Platform Need to print a file to PDF? It's easier than you might think, no matter what device you're using. We have summarized all your options. Read More . For those on an older operating system, Doro PDF Writer is the tool for you. It installs itself as a virtual printer, allowing you to quickly and easily convert the your file into PDF. This means you just need to navigate to the Print function of whatever program you’re using — your Internet browser, Notepad, a word processor — and select Doro PDF Writer. Click OK and the program will then open, allowing you to customize settings like the name of the PDF and adding password protection. It’s a simple program and isn’t packed with functionality, but it’s really good at making replica versions of your files in PDF format. It’s totally free and doesn’t watermark your converted file, unlike some competitor programs on the market, and comes fully recommended. 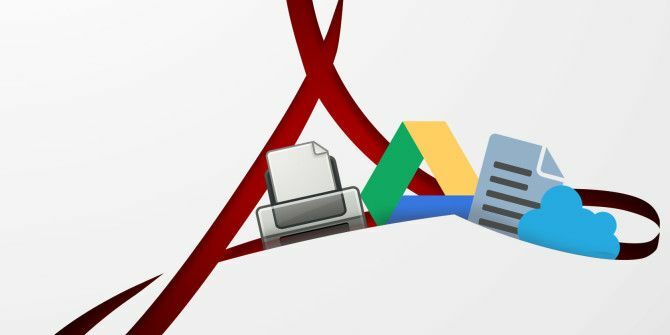 With all these tools under your belt, you’re well on your way to becoming a PDF master. 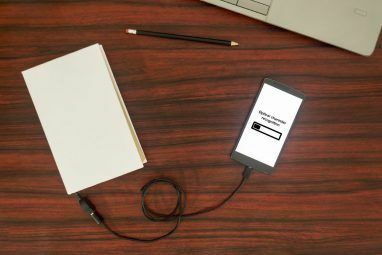 For what can sometimes be a cumbersome format, making use of these programs will speed up your flow to no end — you’ll probably wonder how you lived without the ability to turn a PDF into a text document! If you’re looking to further your knowledge on PDFs, be sure to check out our other guides like making PDFs more accessible and reader friendly Make Your PDF Files More Accessible & Reader Friendly with these Tips Make Your PDF Files More Accessible & Reader Friendly with these Tips Any good PDF needs to be accessible to communicate ideas — follow these tips to make sure your document hits the target. Read More and our round-up of the best PDF and eBook readers for Windows 5 Best PDF & Ebook Readers for Windows 5 Best PDF & Ebook Readers for Windows Windows is establishing itself as a cross-platform operating system. It's already running on tablets and 2-in-1 devices, making eBook reader applications for the desktop more relevant than ever. Read More . Have you used any of the tools we’ve recommended? Do you have a PDF program that you want to recommend to us all? Please share! Explore more about: File Conversion, OCR, PDF, PDF Editor. How about some free PDF form designers. Livecycle Designer is terribly expensive and I know of no alternatives to it. LibreOffice is relatively easy to make PDF forms with and it's free. Got it installed but never really used it. Had no idea it could\would do that. Thanks!